Skin tightening. Exilis Ultra can help tighten aging skin by heating the collagen in the lower layers of the skin. This process causes the deep collagen structures of your skin to tighten immediately so you’ll see firmer skin right after treatment. Over the long term, that heat energy also stimulates future collagen production, so your skin will gradually tighten further giving you a more youthful appearance. Rejuvenation. By tightening skin and stimulating collagen, Exilis Ultra softens wrinkles and fine lines. This treatment can reduce jowls and redefine the jaw line. It can also tighten and smooth the neck and reduce excess skin under the chin. Many patients use it as an effective, non-surgical alternative to a face lift. Treatments usually take 30 to 60 minutes. How many treatments will I need and how long with the results last? The recommended course of treatment with the new Exilis Ultra is generally two to three sessions, every two to four weeks. You can have additional treatments if desired. Patients show persistent results at least six months after the Exilis treatment. Exilis Ultra has been tested in clinical studies and proven to be safe and effective. It has been cleared by the FDA in the U.S. for use in dermatologic and aesthetic procedures. Who is a candidate for Exilis Ultra? Exilis Ultra is recommended for any patient between the ages of 25 and 70+ who desires cosmetic improvement, particularly those areas that show the signs of aging, unhealthy life style and have not responded to other treatment options. Exilis Ultra offers cosmetic improvement without surgery. A minimum of 2 treatments are required for optimal results. Packages of 2 must be prepaid and are NOT covered by insurance. 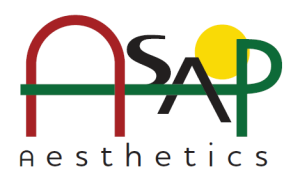 We are offering special discounts for current or new ASAP patients. A medical consultation is necessary prior to scheduling any procedure, which can be done during an appointment with Dr. Dickens or Christina Contreras PA-C.